Junior Training Pants from Bambo Nature. These eco-friendly disposable training pants are ideal to help with potty training. They are free from chlorine, perfume, optical brighteners and lotions. What makes these training pants special in particular is that bamboo nature hold the Nordic Swan Eco Label award. • The breathable backsheet allows air to circulate to the skin, reducing moisture content, thereby reducing the risk of skin irritation. 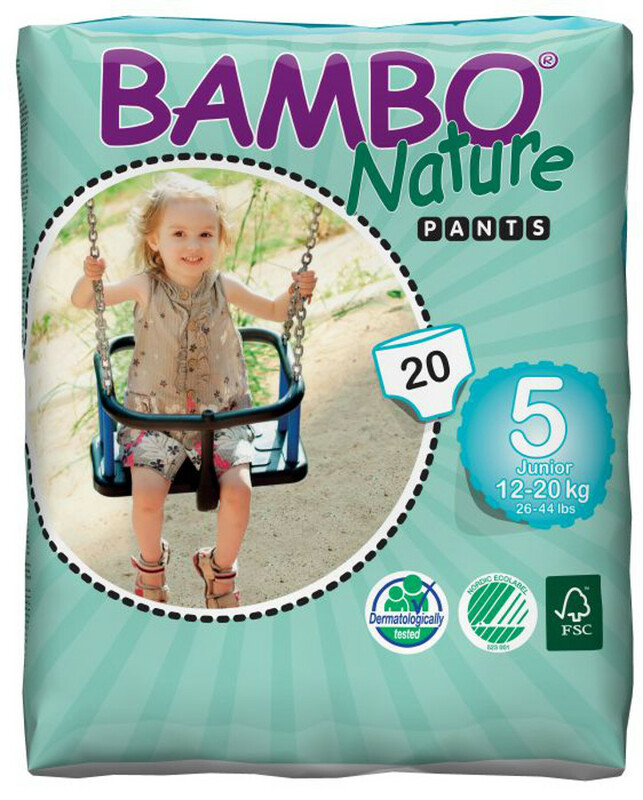 The Bambo Nature Training Pants - Junior - Pack of 20 product ethics are indicated below. To learn more about these product ethics and to see related products, follow the links below. 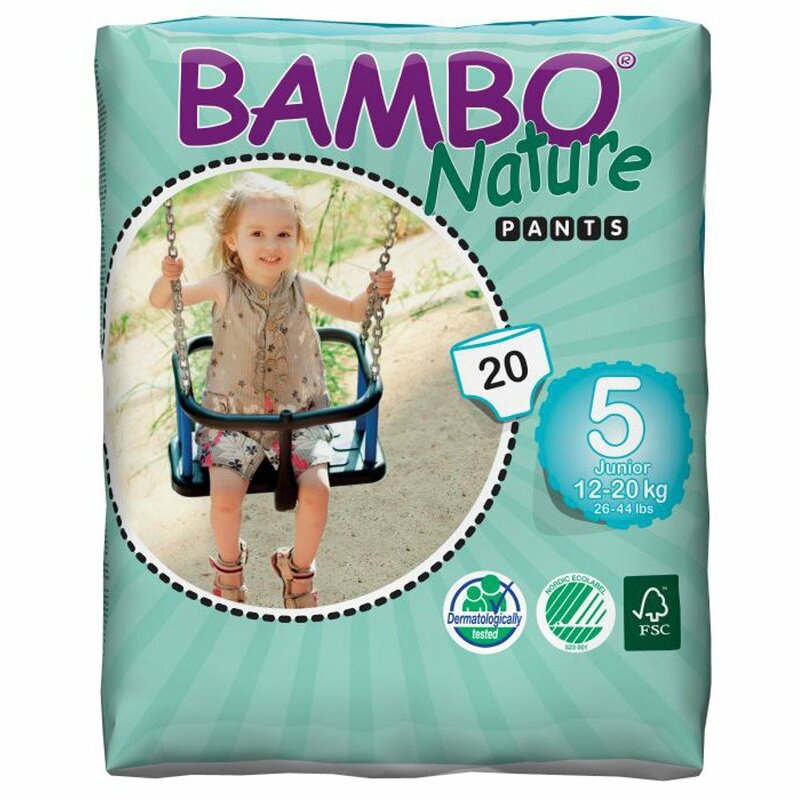 There are currently no questions to display about Bambo Nature Training Pants - Junior - Pack of 20.